Anxiety disorders are common and disabling. Cognitive behavior therapy is the treatment of choice but is often difficult to obtain. Automated, internet-delivered, cognitive behavior therapy (iCBT) courses may be an answer. There are three recent systematic reviews of randomized controlled trials that show that the benefits are substantial (d = 1.0) and similar to face to face CBT. There are two large effectiveness trials that demonstrate strong effects when iCBT is used in primary care; 60 % of patients who complete the courses no longer meet diagnostic criteria. The courses are suitable for most people with a primary anxiety disorder. Research studies usually exclude people whose anxiety is secondary to schizophrenia, bipolar disorder, or substance abuse or who are actively suicidal. Little additional input from clinicians is required. Patients find the courses very convenient. Clinically, the principal advantage is the fidelity of the treatment. What you prescribe is what the patient sees. Alishia D. Williams declares that she has no conflict of interest. Gavin Andrews is the developer of the ThisWayUpClinic suite of courses. They are a not for profit initiative of St Vincent's Hospital Sydney Australia. Dr Andrews has transferred all IP to the hospital. Jill M. Newby is supported by an Australian National Health and Medical Research Council (NHMRC) Early Career Fellowship (1037787). Hedman E, Andersson G, Ljótsson B, Andersson E, Rück C, et al. Internet-based cognitive behavior therapy vs. cognitive behavioral group therapy for social anxiety disorder: A randomized controlled non-inferiority trial. PLoS One. 2011;6(3):e18001. doi: 10.1371/journal.pone.0018001. 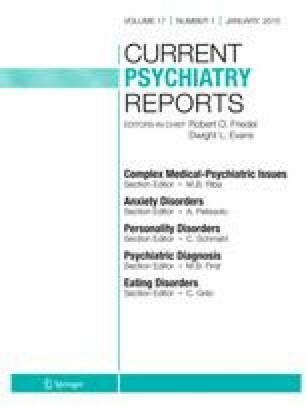 Watts S, Newby JM, Mewton L, Andrews G. A clinical audit of changes in suicide ideas with internet treatment for depression. BMJ Open. 2012;2(5). doi: 10.1136/bmjopen-2012-001558. Andersson G, Carlbring P, Furmark T, on behalf of the S. O. F. I. E. Research Group. Therapist experience and knowledge acquisition in internet-delivered CBT for social anxiety disorder: A randomized controlled trial. PLoS One. 2012;7(5):e37411. doi: 10.1371/journal.pone.0037411.